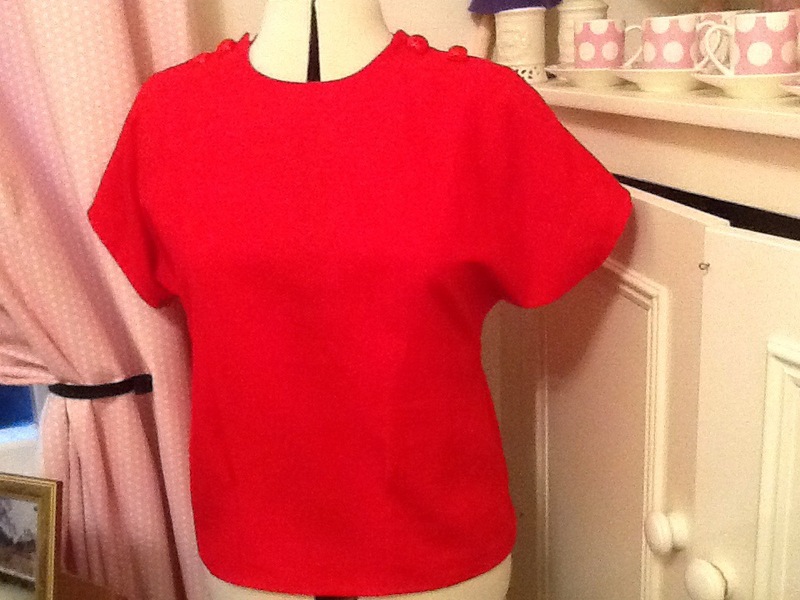 I need a red top to wear for World Book day this week, so decided to use linen so it will be useful in the Summer. 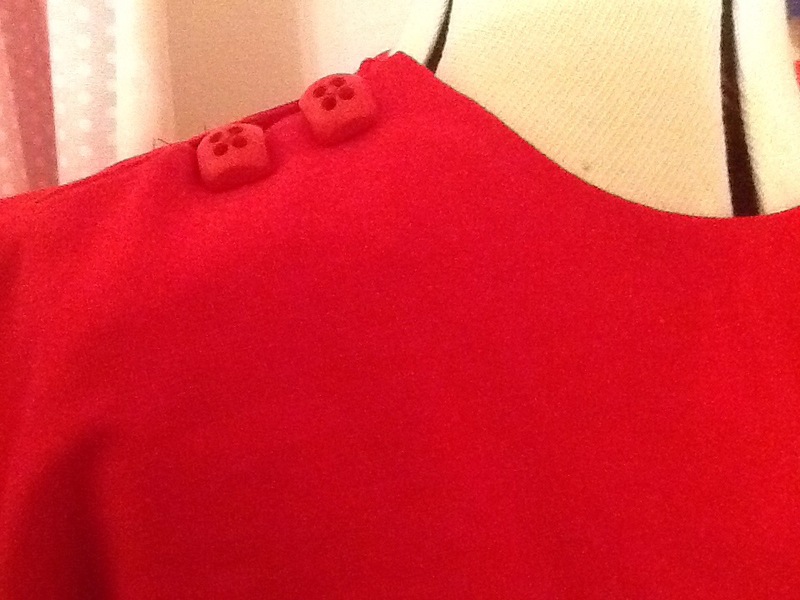 It was a very quick make….3 hours last night and some button sewing today. I still need to make some loops for the fabulous buttons. I used Simplicity 1692 and missed out the extra tuck on the front and the back as it was a very snug fit with them in!!! What a cute top! I love the buttons (I bought tons of them when I lived in Tokyo, but they don’t seem to exist here in Singapore 😦 Grrr!) and so speedily done! Amazing! Who are you going as for World Book Day? My sister is a primary school teacher and she rang me about ‘Where’s Wally’ late last night…! Oh no! I hope she is okay! I love the sound of blue wigs & I bet you’ll be the most glamorous Thing One in your awesome new top! 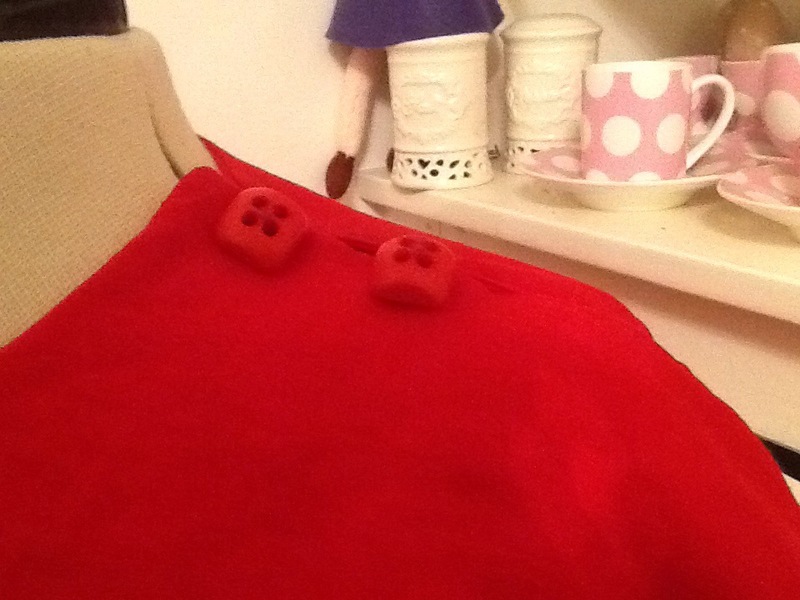 Ps yes, I love buttons… Don’t they completely change an outfit!?! I love them too! Isn’t it funny how some buttons can completely change the look of an item! ? Love it! I have also been eyeing up this pattern, I need more tops. Do you think you will make any of the other versions? Yes, I have already made the long sleeved version with the small gathers at the neck in pink spotty cotton. It is one of my favourites. Has lovely details on it. I made mine a little too short though so was more careful with my turn up on the hem this time. Oh cool, it looks really well made. I love the look of this style but not sure if I would actually want to wear the high neck or not?.. maybe I will have to give it a go! I will have a go! 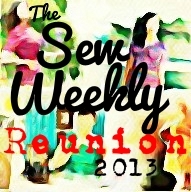 It was a nice easy sew and so think I will do some more for the summer! When I do I will take some action photos! I will do! I love the retro patterns! Very nice! Are you going to handsew the buttonloops? 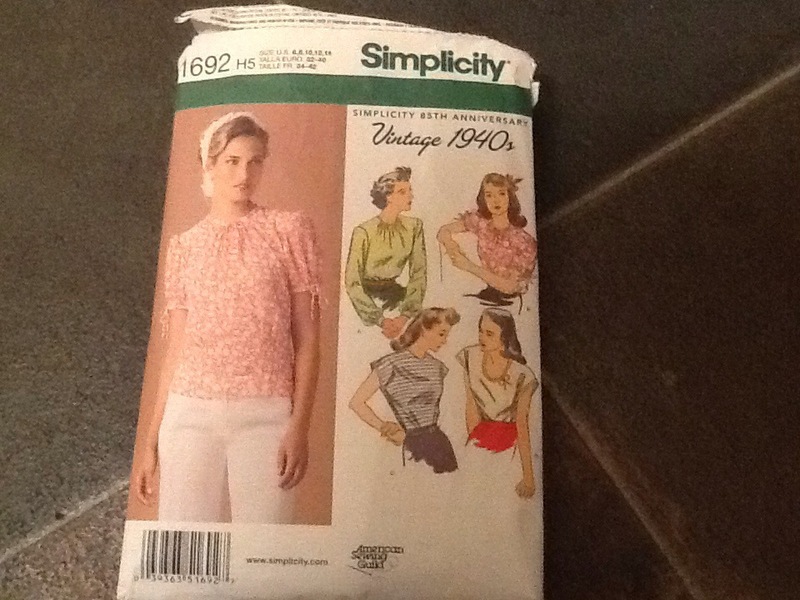 Yes, the pattern said make them but the lined seemed too stiff and the buttons not button like! They are square and sit right on the fabric. So going to get some embroidery thread and do some nice ones! I’ve never tried handsewing loops. Is it difficult? That would be nice! I’m having a bit of trouble picturing how exactly to stitch over the loop. Good luck on the job application! Hi Emmely, I have put som photos on of how I did the loops. I took loads of photos and so have more if you need some…..I think the post got clogged with them and it would not publish! So I finely tuned it to the best ones. Hope they are useful!